Recognition of their own daily experiences will draw beginning readers into My Day at School. 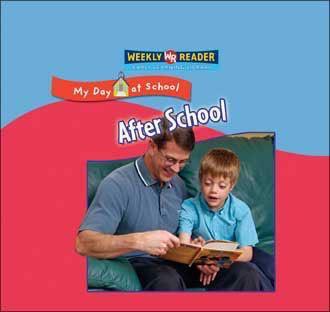 This series describes the routines and rules of a school day, a common first-grade classroom theme. Full-color photographs follow a different child through each book. Easy-to-read text, a strong photo-text match, and labeled photographs will assist readers in decoding the text and learning new vocabulary, while the familiar subject matter will engage them and build their reading comprehension.